Leslie Bonci talks about sour cherries, or tart cherries. The best part of summer is the tasting the abundance of sweet and juicy fruit. But sometimes, sour can be good too! Welcome to the Nutrition Tidbits podcast. Leslie Bonci is here to talk about sour cherries, or tart cherries. She is the director of sports nutrition for the Center for Sports Medicine at the UPMC University of Pittsburgh Medical Centre. Gloria Tsang, RD: The best part of summer is tasting the abundance of sweet and juicy fruits. But sometimes, sour can be good too! Welcome to the Nutrition Tidbits podcast. This is Gloria Tsang, editor-in-chief for HealthCastle.com. I have sports dietitian Leslie Bonci with me today to talk about sour cherries, or tart cherries. She is the director of sports nutrition for the Center for Sports Medicine at the UPMC University of Pittsburgh Medical Centre. Thank you for joining me, Leslie. Leslie Bonci, RD, MPH, LDN: Well thanks for hwaving me. Gloria Tsang, RD: Let’s get to the bottom line. Why should we try tart cherries? Leslie Bonci, RD, MPH, LDN: Well, there is a lot of health benefits to tart cherries. Number one, it’s a fruit and that is always a good thing. Number two, tart cherries are very concentrated in a substance called anthocyanins. Those are actually the chemicals in tart cherries that give them the beautiful, beautiful color that they have. And those chemicals do a lot of things. Number one, they are anti-inflammatory. Well that’s important we want people to be out and doing physical activity. And if people are hurt, they probably are not going to be as active so it may indeed help them prevent some of that inflammation. 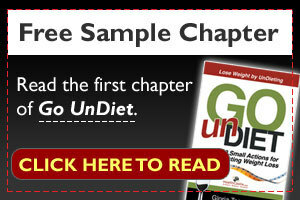 Number two, tart cherries can also lower uric acid levels. That means for people who have gout, they may not have as many symptoms associated with gout. Number three tart cherries make also work very similarly by helping to decrease the metabolic syndrome, lowering blood glucose, lowering blood pressure, lowering blood cholesterol and keeping our bodies healthy. So there is a lot of health benefits from this wonderful little fruit. Gloria Tsang, RD: You mention gout and that really interests me. You know with gout nutrition, we often talk about what not to eat. This is exciting to know that this is something we can actually eat and help. So what does the science say in terms of how much tart cherries we should eat in order to prevent the flair up of gout? Leslie Bonci, RD, MPH, LDN: Exactly. Really what the studies are saying is probably looking at about either a handful of a tart cherry, whether it is a dried tart cherry or using the frozen ones, in something because they are a little tart to have by themselves; or having an eight ounce glass of juice. Any of those would work well. And the other thing that is a benefit and very unique to the tart cherry is that tart cherries are a significant source of melatonin which also may help regulate sleep. So truly, we have got a head to toe benefit associated with tart cherries. Gloria Tsang, RD: I have heard that you helped develop the red recovery routine. What exactly is that? Leslie Bonci, RD, MPH, LDN: The reason that I have done that is because I work with athletes all the time, some professional and some recreational athletes. When people think about what they are doing for their sport, often time they just go and do their sport. And they don’t concentrate what they are doing after they are done so they can do it again the next day. 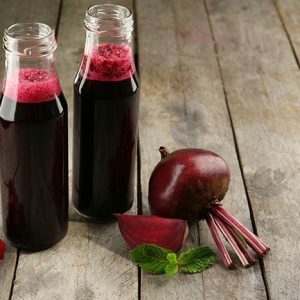 Primarily, incorporating the tart cherry juice into the equation to help somebody prevent some of the inflammation, so indeed they can get back to running, or biking or any of those types of things. So when we look at recovery, recovery is that ideally, somebody is going to refuel and rehydrate or put the fluid and the fuel back in post-exercise; also, thinking about doing it before exercise so it is along a continuum. It’s not just get out and do your sport, but think about what is going into your body, before, during and after. That means incorporating some foods with protein and also as part of that red recovery routine, it may be using tart cherry juice as a smoothie or having a handful of tart cherries in a trail mix. It doesn’t have to be a lot but a little bit can be very, very beneficial for the body. Gloria Tsang, RD: Every time I talk about tart cherries. People often say tart cherries? What do I want to eat tart cherries? We often see sweet cherries every where. I really seldom see tart cherries in the produce section of the grocery store. So where can we find tart cherries? Leslie Bonci, RD, MPH, LDN: That is correct. You won’t see them in the produce section of the grocery store. Where you will see them, however, you will see them dried. So we can find dried tart cherries. We can find them frozen. We can also find them canned and we can find them as tart cherry juice. And it is the tart cherries that concentrate more of the anthocyanins or these health promoting substances. That doesn’t mean we shouldn’t eat sweet cherries. Indeed, we should. But for that little added health benefit, we are looking for them as juice, dried or frozen. The good news about that is you can get them 365 days a year. Gloria Tsang, RD: That’s true when it’s dried and frozen. Can you give some quick and simple diet suggestions in how we can incorporate more tart cherries in our diet? Leslie Bonci, RD, MPH, LDN: Yes, one of the things we could do is even swapping out, in the morning, and maybe putting tart cherries into our cereal instead of using perhaps a different type of a dried fruit. Or even putting them on a salad. I love it because it gives this nice, tart, sweet, chewy taste that’s a beautiful complement to a lettuce or even using them in a rice pilaf is gorgeous. It is a wonderful, wonderful taste. Putting them in a smoothie as well and even mixing them into a trail mix. So they really have application across the board in any meal and again, we don’t have to use a lot. A handful of the dried cherries a day or an eight ounce glass of juice, either by itself or perhaps mixed in to a smoothie. So a lot of versatility associated with the use of it. Gloria Tsang, RD: Now I can see how we can use dried cherries or even tart cherry juice but I have this bottle of tart cherry juice concentrate and I am looking at the nutrition info and it says 100 calories in just one fluid ounce. I know that this is not intended drank as is, isn’t it? Leslie Bonci, RD, MPH, LDN: You probably don’t want to do it that way because it is extremely overwhelming but the benefit of the concentrate is that it’s a little more economical to buy it that way but you would take that one ounce portion and pour it to a large glass and then dilute it with water. The beauty of it however, is that you could decide to mix it with just water or you could mix it with a sparkling water for a wonderful cherry soda. So that gives you the versatility when you use it that way. Gloria Tsang, RD: Now how can our readers find more information about perhaps the red recovery routine or just simply about nutrition of tart cherries. Leslie Bonci, RD, MPH, LDN: The website is www.choosecherries.com. And not only information about the red recovery routine but some great recipes as well and also some information on the science and there is a lot of science that continues to emerge. Gloria Tsang, RD: Great thanks you agian for joining me. Leslie Bonci, RD, MPH, LDN: Thank you. Gloria Tsang, RD: We have been talking to dietitian Lesli Bonci. For more healthy eating tidbits and information about this show, go to HealthCastle.com.